Earlier this year, Local 1 IBEW purchased what was once the saloon and boarding house where the national union was born in 1891. 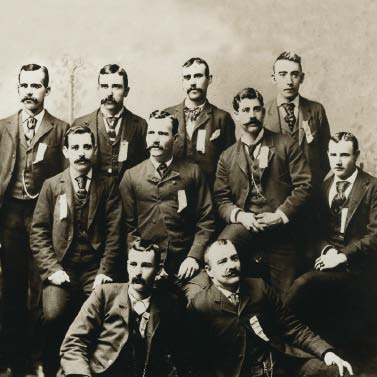 The International Union incorporated the Electrical Union Historical Society to oversee a historical restoration and maintenance of the structure and establishment of a museum on the union’s founding history. Also purchased was an adjacent lot to be turned into a Founders Park. IBEW set a budget of $6 Million for the project. They are raising it by private donations. If you have a Twitter account, go to @NBEWMuseum and see the ongoing updates of IBEW members, retirees, and family donating to this project. It is impressive. You can also watch daily renovation progress via Periscope. It’s like live This Old House. Old school building trades work on an historic structure shared via modern technology. The project has a strict deadline of September 19-23, 2016, the 125th Anniversary of IBEW’s founding and 39th IBEW International Convention here in St. Louis City. This historic restoration of the home of the King of Ragtime music is closed during Winter but re-opens every February and tours are Free. Adjacent New Rosebud Café, a replica of turn-of-the-century bar and gaming club, can be rented for special events. 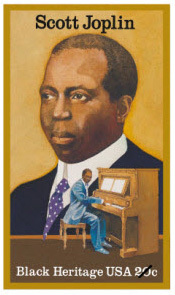 The Friends of Scott Joplin meet 2 pm First Sundays at New Rosebud Café for Ragtime Rendezvous, a social event open the public. The Moto Museum is a motorcycle museum which also serves as the event space known as Triumph Grill. The Museum is open to the public free of charge when events are not held. The museum is Free but there is a donation box. Generally, it is open 11 am to 4 pm Monday-Friday. But the owner/collector cautions for visitors to call in advance to find out if there is an event on site. You can call 314-446-1805. Soldiers Memorial Military Museum is open seven days a week, except holidays, but will close in Spring 2016 for renovations. I urge you to go visit now, grasp the enormity of sacrifice men and women have made. Soldiers Memorial was supposed to be a World War I memorial funded by one of twenty bond issues adopted by St. Louis City voters in 1923 for public improvements. But there were many projects promised, The Great Depression swept over the nation, and money from the bond issues ran low. Federal money is largely what built Soldiers Memorial, funding from New Deal’s 1935 Works Progress Administration. But there isn’t any city, state, or federal money today for much needed renovation of Soldiers Memorial, so the City has turned to private funding. 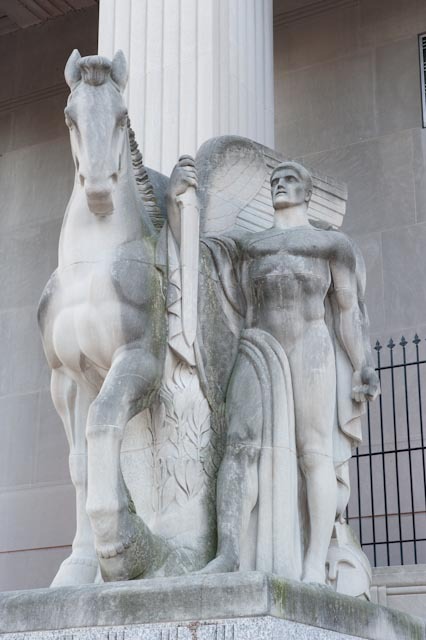 On Veterans Day 2015, the City of St. Louis and Missouri Historical Society signed an agreement for MHS to renovate and manage Soldiers Memorial, including the grounds. The renovations will be privately funded. Missouri MHS operates Missouri History Museum at Forest Park, which receives funds from the St. Louis Zoo Museum Tax District, but those funds will not be used on the Soldiers Memorial Project. Central Public Library is the flagship library of the City’s library system. It underwent a $70 Million renovation over two and a half years, mostly paid for with bonds, and reopened in 2012. It’s a library but much more. Not only is Central Library a 100+ year old breathtaking piece of architecture abundant in history, but it also hosts wonderful exhibits well worth the visit, and many concerts, film nights, and speakers, all Free. Campbell House Museum is one of the few pre-Civil War jewels remaining in St. Louis City and contains an amazing collection of Victorian era furnishings. As much as the architecture and furnishings are a draw, the staff are great storytellers and the stories of the people who lived at Campbell House are a treasure all their own. The Museum is owned and operated by the nonprofit Camp­bell House Foun­da­tion with private funding. There is an admission fee of $8 (children under 12 Free) which is well worth it. The Museum is open January-February by appointment only but make a note to visit later on and check for their special events. There is an annual Drink Up, Tweet Up that is a blast. If you enjoy local history, visit a very fun blog written by a Campbell House volunteer: Distilled History, a Drinking Blog with a History Problem. The National Blues Museum is nearly completed but already open seven days a week, except holidays. Grand Opening is scheduled for April of 2016. When completed, the Museum will include more than 15,000 square feet of highly interactive technology and artifact-driven exhibits, a theatre, special event space and classrooms. The Museum does not receive public funds. The $13 Million project is privately funded from donations large and small. Some major supporters of the project include Pinnacle Entertainment; musicians Jack White, Derek Trucks, Denise LaSalle, Buddy Guy, Robert Cray, and Shemekiah Copeland; and actors John Goodman and Morgan Freeman. MX Movie Theater is located across the street. The Dental Health Museum has been a fixture on Laclede’s Landing since 1977. It’s been a place where so many children have been educated and entertained on oral health and wellness, and traded Halloween candy for prizes (with the candy sent to U.S. Armed Forces personnel). It saddens me that this quirky attraction is leaving The Landing, but I know it has a bright future ahead across town. This Spring 2016, the Dental Health Museum merges with HealthWorks Kids’ Museum St. Louis at 1100 Macklind next to St. Louis Science Center. It’s a 2.5 million project funded by private funds as well as, it appears, public funds from Science Center (a Zoo-Museum Tax District entity) and the St. Louis Office for Developmental Disability Resources. The Griot Museum is a wax museum, but much more. And it’s not cheesy like the Laclede’s Landing Wax Museum. I have taken The Griot tour. It is a good way to spend an hour to an hour and half if you are interested in history. The museum is privately funded. At one time, there was talk of trying to add it to the St. Louis Zoo and Museum Taxing District, but nothing came of it. 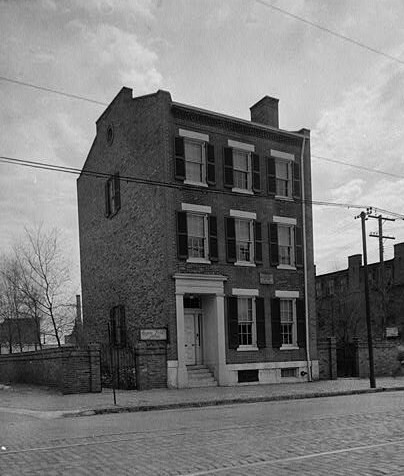 The 1829 built home of Roswell Field, an attorney for Dred and Harriet Scott, and his son, Eugene Field, author of children’s poetry and humor, was rescued from demolition in 1934 by the St. Louis Board of Education. The following two years, during the end of The Great Depression, school children collected $2,000 for the home’s restoration and it opened in 1936 as a museum. In 1968, the Board of Education turned over control of the house/museum to the nonprofit Eugene Field House Foundation. Admission is $5 but school groups have been admitted free since its opening, in thanks to the many children who helped preserve it. The Museum is open by appointment only in January and reopens to the general public in February. In 2014, the Foundation began planning for an addition to the Museum. In April of 2015, the Eugene Field House Foundation broke ground on a new $2.6 Million privately funded 4,000 square foot expansion. Plans call for a new Eugene Field Library, an expanded “A Room Divided” exhibit on the lives of free and enslaved persons, conference space, more exhibits, and more toys. It’s expected to be completed Spring 2016. Chatillion-DeMenil House is 1n 1848 built gem, a stunning example Greek Revival architecture, rich in history of the descendants of the French founders of both St. Louis and the Town of Carondelet. It is home to exhibits and annual special events, such as Bastille Day. The historic home is owned by the Chatillon-DeMenil House Foundation and funded entirely by private funds including a small admission fee. It is closed January-February. If you like old maps, drawings, letters, you will love this. In August of 2015, a new museum opened across from Compton Water Tower without much fanfare. Karpeles Manuscript Library St. Louis is the 14th branch of the Karpeles Family’s museum system that rotates exhibits of the world’s largest private holding of important original manuscripts & documents. Admission is Free. Among the current exhibits is original drawings by the late sports artist Amadee. Starting January 6th is the John Adams Exhibit. The Mungenast Museum is two building collection of 200 cars, trucks, and motorcycles collected and maintained by the Mungenast Family. Admission is Free. It is open to the public Tuesday-Thursday 10 am to 5 pm and Saturdays 10 am to 2 pm. 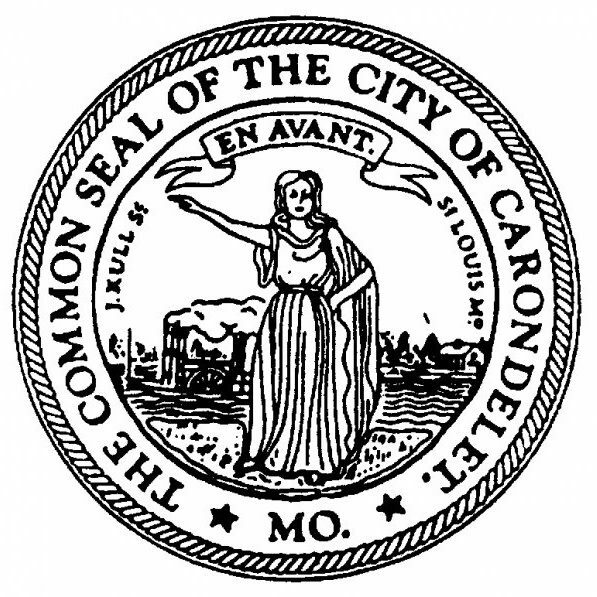 The Carondelet Historical Society is housed at Susan Blow’s Des Peres School, founded in 1873 as the first publicly funded Kindergarten in the U.S. In addition to being a museum, there is also the Bouchein Library with records of the Village of Carondelet; the Delor family papers; the Lois Waninger Collection of youth literature; the Willis Potthoff Collection of Leo Edwards and Edgar Rice Burroughs texts; and much more. CHS many educational events. Coming up in February is a program on the Dred Scott Decision. CHS is funded with membership dues and private donations. It is open to the public without fee. Looking at these museums has made me think about how cool it would be if every neighborhood had some kind of museum, a restored building housing the history of the neighborhood, or a group, or a local phenomena, or historical event or person, or whimsy. Soulard Mardi Gras Museum anyone? From discussions on Twitter, a group is forming to establish a St. Louis Fire Department Museum. The potential site is Engine House #3 in Marine Villa Neighborhood. There’s also been a suggestion that St. Louis needs a Public High School Sports Hall of Fame. That’s a terrific idea. I hope someone picks up that ball and runs with it. The St. Louis City Board of Aldermen is stealing our right to vote on Stadium Funding. Now, you might be thinking, oh, for crying out loud, let’s not rehash the initiative petition ordinance thrown out by an unelected judge. I’m not writing about that. Everything has been said. Over and over and over again. I am writing about something different. Little known to most St. Louis City residents, our City Charter provides us with a mechanism to overturn ordinances adopted by the Board of Aldermen and signed by Mayor Slay. The people shall have power, at their option, to approve or reject at the polls any ordinance (except it be an emergency measure as defined in section 20 of article IV), such power being known as the referendum and to be invoked and exercised as herein provided. The Charter goes on to describe how voters have 30 days, after the Mayor signs a law, to collect petition signatures- equal to at least 2% of all voters registered at the last mayoral election- to place the law on the ballot. With a little more than 4,000 voters signing petitions, we could force an election on Stadium Funding. But Alderman are denying us our referendum right on this issue, and nearly every other issue, by adding what’s called an Emergency Clause to the Stadium Corporate Welfare Bill. Board Bill 219, Section Eleven. The Board of Aldermen hereby finds and determines that this Ordinance constitutes an “emergency measure” pursuant to Article IV, Section 20 of the City Charter, because this Ordinance provides in part for public works and improvements, and as such, this Ordinance shall take effect immediately upon its approval by the Mayor as provided in 21 Article IV, Section 20 of the City Charter. And the City Charter prevents voters from petitioning to overturn an ordinance that has an Emergency Clause. Article IV, Section 20, St. Louis City Charter. Emergency ordinance defined. An emergency measure is any ordinance necessary for the immediate preservation of the public peace, health or safety, or providing for public work or improvements of any kind or repairs thereof, or establishing a benefit or taxing district or a sewer district, or a joint sewer district, and declared to be an emergency measure; any ordinance calling or providing for any election or vote by or submission to the people, any ordinance making an appropriation for the payment of principal or interest of the public debt, or for current expenses of the city government; any general appropriation ordinance; or any ordinance fixing any tax rate; but no ordinance granting, enlarging or affecting any franchise or amending or repealing any ordinance adopted by the people under the initiative shall be an emergency measure. Context is important. In April 1926, when voters adopted the Referendum provision, they also adopted a plan to merge the City and County into one large municipality (which County voters rejected). The Right to Referendum was City voters way of staying in control. They did exempt “public peace, health or safety” ordinances, but they certainly never imagined it would be used on other than rare occasions. Why give yourself a right and then ensure you never get to use it? In 1927, voters amended the Referendum provision to include “public works and improvements.” In 1927, public works and improvements meant the 20 bond issues adopted in 1923, money being used to build Civil Courts Building, Soldiers Memorial, Kiel Opera House, public waterworks, pave residential streets, creating many new parks and public spaces- improvements of benefit to the general public. It was never intended to mean subsidizing a billionaire. In the case of the Stadium Funding Bill, the emergency has to do with “providing for public works or improvements.” If true, this bill will result in public works or improvements regardless of action by the National Football League. But it won’t. It is contingent on a private entity buying into the plan. An emergency is something that is happening or will happen, not something that may happen. If the Rams move, there are no public works or improvements from this ordinance. It is, therefore, not an emergency.